Once again we are serving up some exceptional technology deals which are designed to introduce great tech into your life or to save you money as you stock up on Christmas gifts for others. Enjoy, and act quickly if you see something that you like. 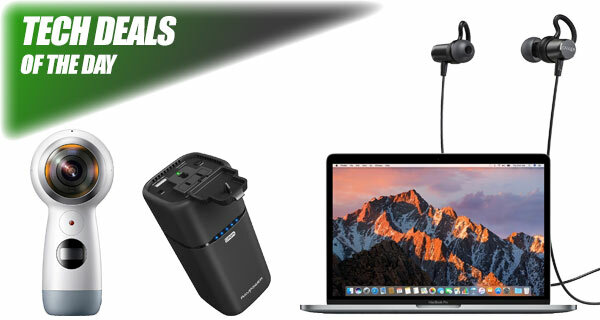 If you’ve ever wondered how to charge your laptop or any other non-USB or USB powered device on the go using a power bank, we have just the contraption for you for just $80. There’s also a pair of lightweight wireless earphones from Anker for just $18. There’s then the Samsung Gear 360 camera coming in with a massive $100 discount as well. 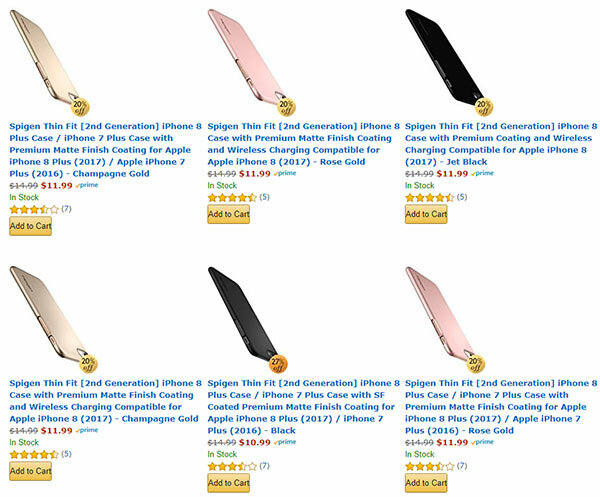 Also up for sale are select Spigen iPhone 7 and iPhone 8 cases with discounts of up to 70%. Last but not the least, the 13-inch 2017 latest MacBook Pro is up for the grabs with a $100 discount. As always, the deals listed here are only available for a limited period of time, or till stocks last, whichever happens first. So make sure you act quickly before the offers listed below are all gone and sold out. If you find yourself in the market for a new pair of lightweight earphones and simply cannot abide the new fashion of having them over-the-ear, then this product could be the perfect compromise for you. These gorgeous wireless earphones are powered by Bluetooth, offer a great battery life, and will make you wonder if you are actually wearing headphones at all. 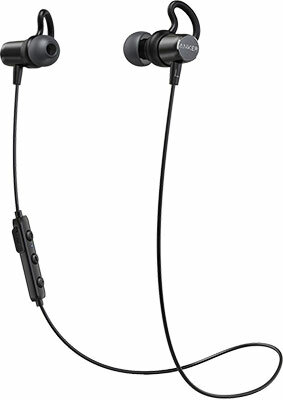 Best of all, you can grab the earphones for a mere $18 using the following promo code at checkout: SUPER236. Video cameras and digital cameras are wonderful. Even powerful smartphones like Apple’s iPhones are capable of capturing stunning video and still imagery. However, if you really want to experience life as it was meant to be experienced, and want that captured for playback at any time, then you really need to consider this 360-degree camera which captures life in stunning 4K resolution in order to be viewed in virtual reality. Even better, you can get this camera for under $130 using the following promo code at checkout: 40OFF360. This deal really speaks for itself. 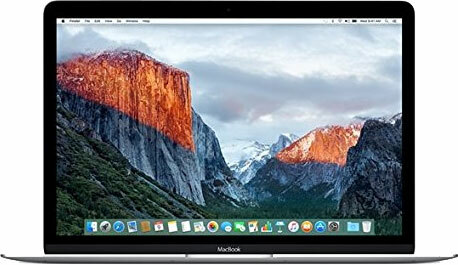 It’s one of Apple’s gorgeous and latest 2017 MacBook Pros complete with a 2.3GHz Intel Core i5 dual-core processor and 8GB RAM. This will ship with macOS pre-installed, offer immediate access to the App Store for a ton of new experiences, and has that stunning Retina display that consumers love. Love or hate Apple, you really cannot deny that the company’s smartphones are not only powerful but also beautiful. And if you have purchased one then you will really want to protect that beauty. Especially the stunning glass rear of the iPhone 8 and iPhone 8 Plus. For a limited time only you can grab some savings on the wonderfully protective and lightweight Spigen cases. 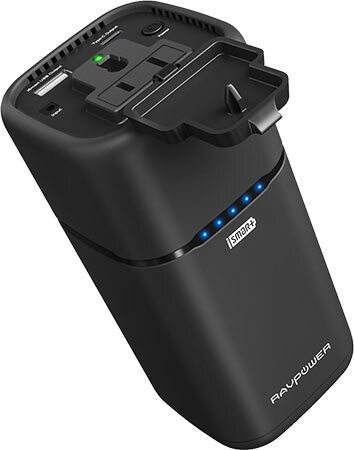 If you need to charge multiple power-hungry devices at one time, and cannot be tethered to a home-based power source, then this is the power bank accessory that you need. This device comes with a whopping 20,100mAh cell built-in and should be good to get even the most power-hungry devices, including laptops and smartphones, up and running.